DULLES, Virginia --- Orbital ATK, Inc. has received an $11 million contract for the continuation of Contractor Logistic Support (CLS) for the Iraqi Air Force’s Armed Caravan program. The contract provides funding to provide sustained CLS services including all maintenance and support training for the modified aircraft fleet currently used by the Iraqi Air Force in their security mission. The contract will also include spare parts, component repair, publication updates, maintenance training and logistics. Additional options, if exercised, would bring the cumulative value of the contract to $118 million and extend the period of performance through 2020. Orbital ATK has been supporting the Iraqi Air Force since 2007 when the first missionized Cessna 208 aircraft was delivered out of the company’s Fort Worth Special Mission Aircraft facility. Over the years, Orbital ATK has supplied three armed aircraft (AC-208B), three reconnaissance aircraft (RC-208B), and five trainer aircraft (TC-208B) in support of the U.S. government contracts for rebuilding the Iraqi Air Force. WASHINGTON, Oct. 7 (UPI) -- The U.S. State Department has approved a proposed $65 million sale of Cessna AC-208 aircraft to the government of Iraq. announced Friday. The deal would involve the purchase of two aircraft that would include dual rail LAU-131 Hellfire missile launcher capability on each wing, the Defense Security Cooperation Agency said in a statement Friday. Congress was notified of the possible sale on Thursday. The aircraft would also include AN/ALE-47 electronic countermeasure dispenser, AN/AAR-60 missile launch warning systems, AN/AAQ-35 electro-optical infrared imaging systems, contractor aircraft modifications, spare parts, publication updates, aircraft ferry and miscellaneous part. Baghdad originally purchased three AC-208 and three C-208 aircraft in 2008. 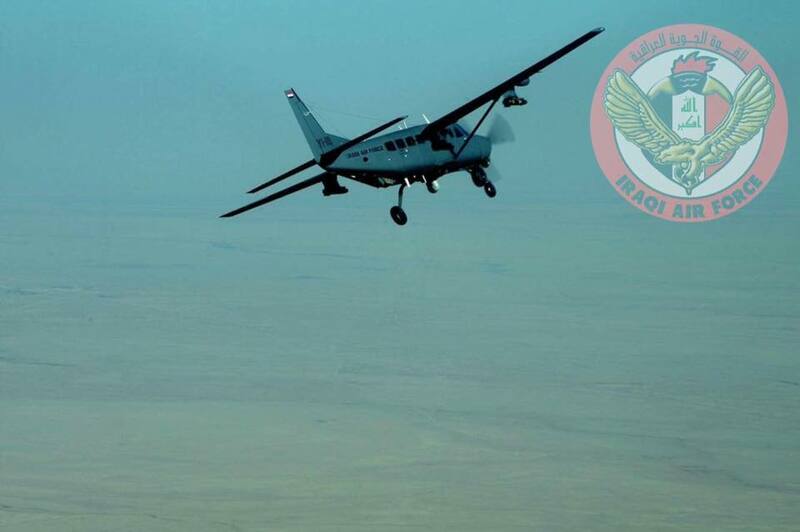 The Cessna is used to support Iraqi military operations against the Islamic State terrorist group. Orbital ATK would be the principal contractor. Do not worry amount to cover the aircrafts as well as "spare parts, publication updates, aircraft ferry and miscellaneous part".!!!!!! each aircraft is maybe $2.5M flyaway cost. the equipment installed... EO system, MAWS, Countermeasures, Wing strengthening, Hellfire Racks... another $3M per aircraft maybe. so a total "real" cost of about $5M for the aircraft and $6M for the equipment. For such prices Iraq should get at least 6 aircraft with all the bells and whistles that are out there! Thinking of that, it would be nice if those could be fitted with a 30mm cannon to make it a true mini gunship. Note the following, Americans offer different prices for the same product and it seems according to different countries. Maybe Iraq as well as Afghanistan for example pays tax for the occupation or perhaps simply the corruption of American and ugly exploitation of the situation. Can be found at the following news about sell UH-60M for Taiwan at $5.6 million the unit cost, and the unit price of $11.3 million for 14 UH-60s for Afghanistan??????????????????? Sikorsky Aircraft Corp., Stratford, Connecticut, was awarded a $135,400,000 modification (P00101) to foreign military sales contract W58RGZ-12-C-0008 (Taiwan) for 24 UH-60M uniquely configured Black Hawk aircraft. Work will be performed in Stratford, Connecticut, with an estimated completion date of Oct. 8, 2018. Fiscal 2016 other funds in the amount of $135,400,000 were obligated at the time of the award. كشفت وكالة التعاون الأمني للمبيعات الخارجية في وزارة الدفاع الأميركية، اليوم الثلاثاء، عن فوز شركة اليانت تيك سيستمس بعقد تطوير طائرات سيسنا التي تمتلكها القوة الجوية العراقية، وتزويدها بمنظومات رصد وتصوير فيديوي عالي الجودة، مبينة أن قيمة العقد تبلغ 16.9 مليون دولار ويؤمل أن ينجز في شباط 2018. وقالت الوكالة في بيان لها نقله موقع بزنز نيوز Business News وتابعته (المدى برس)، إن "شركة اليانت تيك سيستمس Alliant Techsystems الأميركية الرائدة في مجال الصناعات الدفاعية وتقنيات الطائرات فازت بعقد تطوير طائرات سيسنا 208 المقاتلة الأميركية في العراق بقيمة 16 مليوناً و900 ألف دولار"، مشيرة إلى أن "العمل بالعقد يؤمل أن ينتهي في شباط من عام 2018". وأضافت وكالة التعاون الأمني للمبيعات الخارجية، أن "شركة اليانت تيك سيستمس ستقوم بتطوير طائرات سيسنا المقاتلة التي يمتلكها العراق طراز Cessna 208 ونصب خمس منظومات رصد وتصوير فيديوي عالي الجودة من طراز MX-15 HD فيها لأغراض المسح وجمع المعلومات". يذكر أن العراق يمتلك ثماني طائرات سيسنا مقاتلة من طراز AC-208 و C 208 التي تستعمل لإسناد عمليات الجيش العراقي ضد تنظيم (داعش) . وتعد طائرة سيسنا من طائرات المناورة ثابتة الجناح المقاتلة القادرة على اطلاق صواريخ هيل فاير أميركية الصنع. 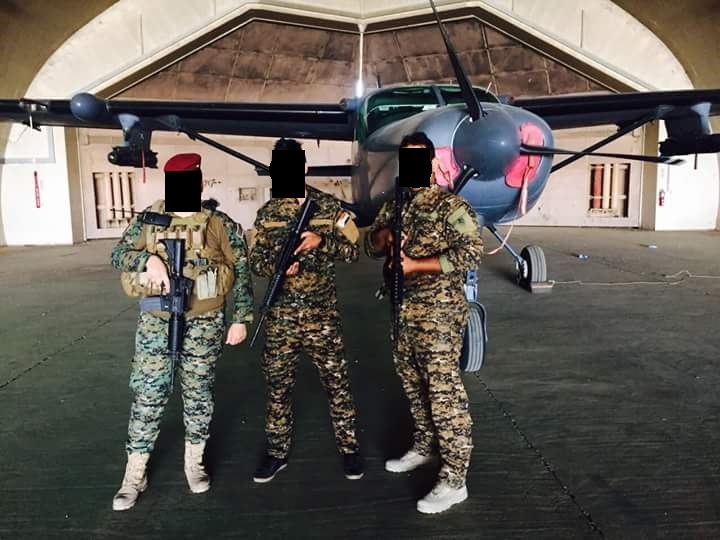 US company Orbital ATK has developed a Block II variant of the Cessna AC-208 Combat Caravan turboprop for the Iraqi armed forces that can carry twice the weapons load of the current baseline aircraft, a company official told Jane's on 1 March. Speaking at the Avalon Airshow near Melbourne, the official said that the engineering work on the AC-208II has been completed, and that Orbital ATK is now just waiting on a contract from the US government to deliver the improved platform to Iraq. 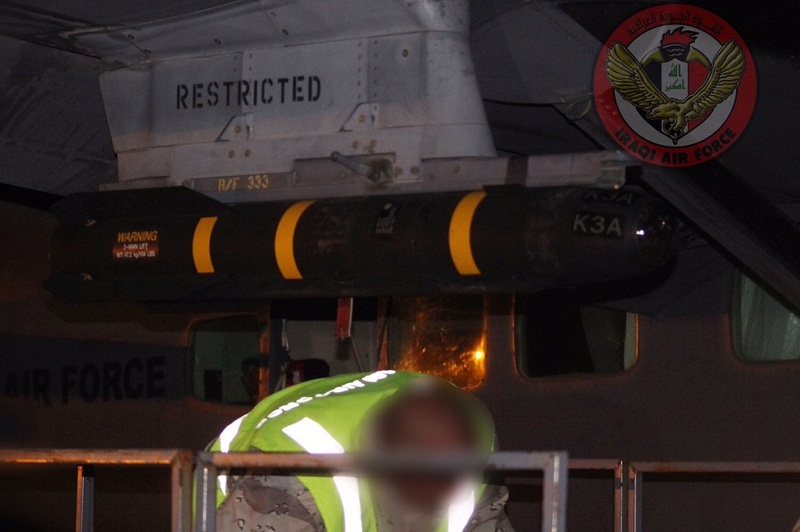 "The Block II armed Caravan allows for the carriage of two [AGM-114] Hellfires and/or two rocket pods under each wing, compared to just one of each at present," the official said, adding, "To date, Iraq has fired more than 3,000 Hellfires against the Islamic State, and this [enhancement] will reduce the need to be constantly returning to base to rearm." Iraq has acquired 13 Cessna 208 aircraft in various configurations from 2007 to 2009. The three AC-208 Combat Caravans, which were converted by Orbital ATK, were the Iraqi Air Force's (IqAF's) primary fixed-wing combat asset for a number of years before the arrival of more advanced jet platforms, such as the Lockheed Martin F-16 Fighting Falcon. One of the three AC-208 Combat Caravans was subsequently lost on operations against the Islamic State. In 2016 the US State Department approved the sale of a further two AC-208s aircraft to add to the three previously delivered. With the US government's notification for this sale noting that the aircraft will be fitted with dual-launchers under each wing, it appears that they will be delivered in the latest Block II configuration. 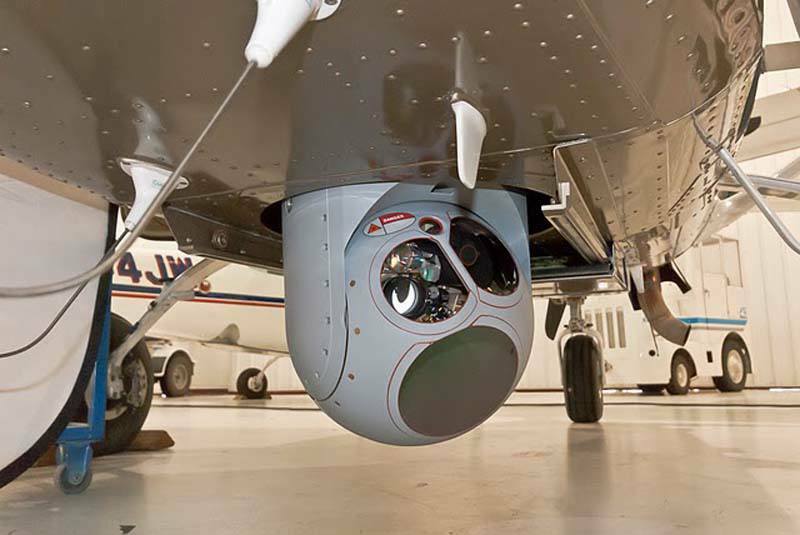 While geared at Iraq, Orbital ATK noted that the AC-208II could well become the baseline variant offered to future customers. Hayder, do you think IQAF will upgrade the existing Caravans to Block II, shouldn't be difficult, I guess?